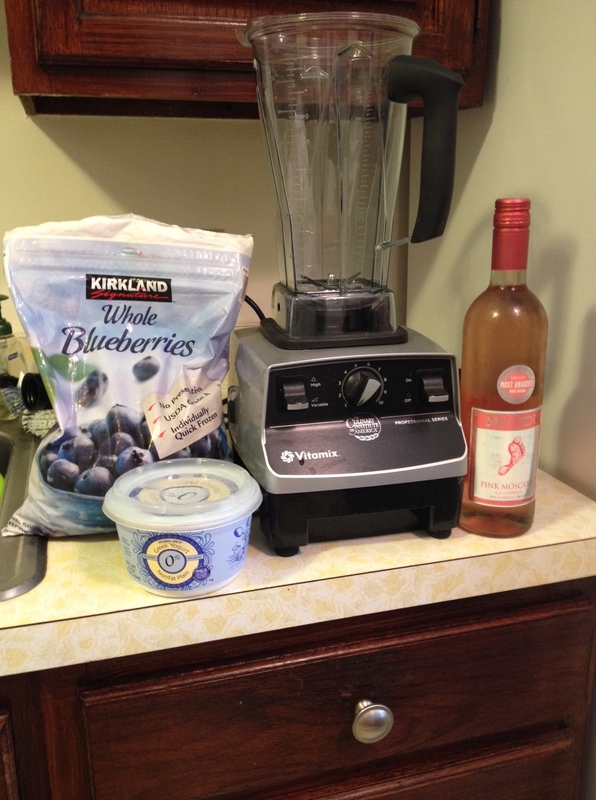 Wine + Berries + Greek Yogurt = Wine Smoothie. Need we say more? 1 bottle Wine (we used Barefoot Pink Moscato, but any wine: red, white, or even sparkling would probably work well!) Note: neither Colleen nor Sarah particularly like Moscato, but we thought using it for this smoothie would be a good way to enjoy it! 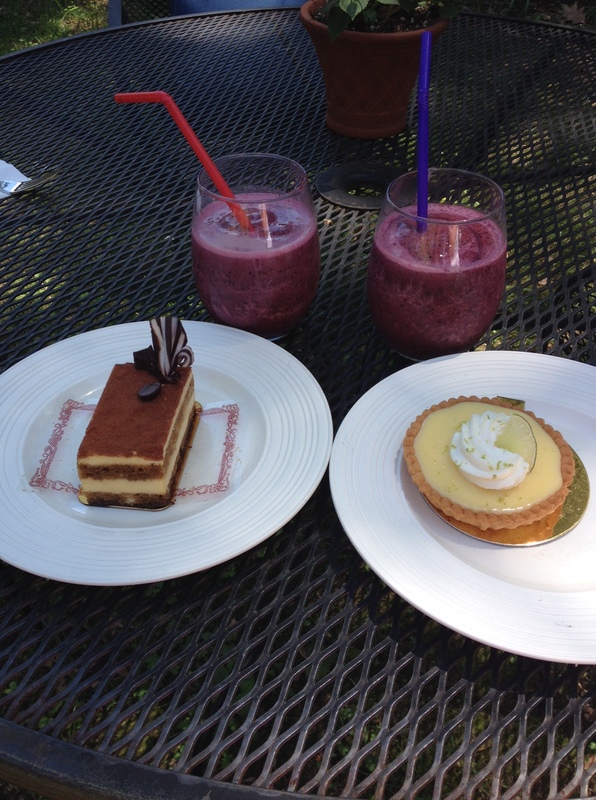 Pour into stemless wine glasses, pop in a straw, and enjoy! 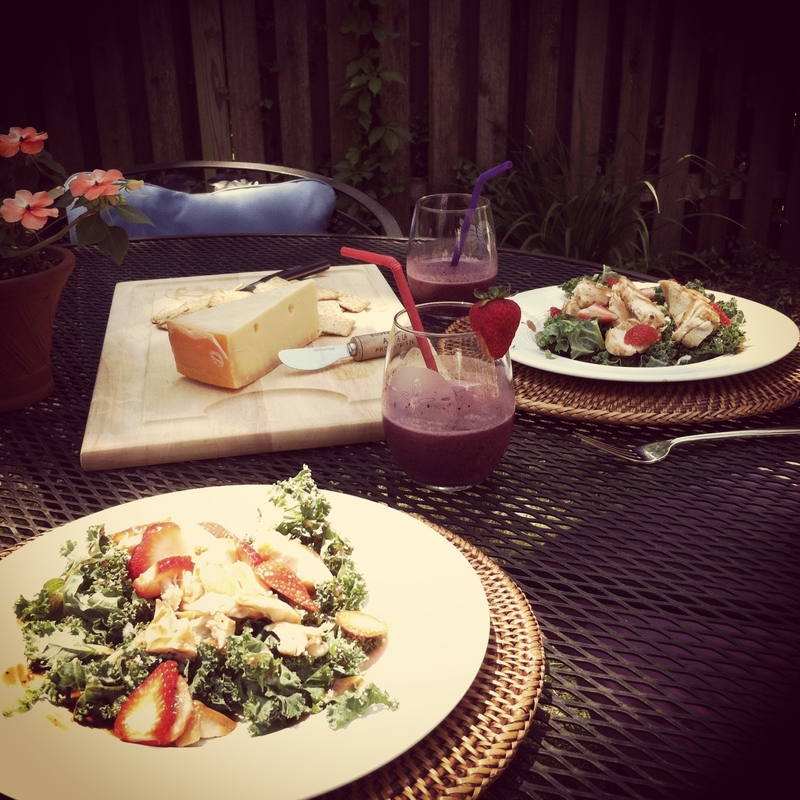 To go with our wine smoothie, we made a simple salad with kale, chicken, strawberries, feta, and almonds with light balsamic dressing. We hope you try this easy wine recipe as the weather gets warmer!